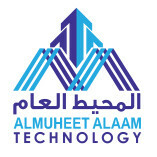 Al Muheet Al Aam Technology is a Dubai based It Solutions Company. Al Muheet Tech is offering range of creative and innovative digital business solutions in Dubai, Abu Dhabi, Sharjah, and all across the UAE. Al Muheet Al Aam Technology is an experienced mobile application development Firm. I recommended this company to all of those business owners who are looking for a mobile app for their business. Their services cost is affordable. I'm impressed with Al Muheet Tech's brochure & flyer design. They are the team of creative designers. I recommended this to all of those who are looking for designing solutions. Al Muheet Tech's graphic designing solutions are the best and professional than other agencies in Dubai. Specially their logo design and brochure design services are really perfect.